Come separate yourself from the buzz of downtown to mill around amongst the craft culture of the River North Art District (RiNo). As an industrial hub in the Five Points area of Denver, RiNo was home to foundries, factories, pattern shops, and other businesses that drove economic success back at the turn of the century. However, as industry moved out of the city’s core in the late 80s and 90s the neighborhood infrastructure began to fail leaving RiNo vacant. Local artists seized this opportunity to populate the now very affordable part of town and create a fertile ground for arts, artists, and creatives. Step off the beaten path to drink beer in one of Denver’s hottest neighborhoods. During this tour we will guide you through brewing process, cider making, as well as discuss the amazing stories of the businesses on our route. Book now to secure your spot; if the tour is full please call us to see if we can add you in. Don’t miss Denver’s gateway to craft beer! 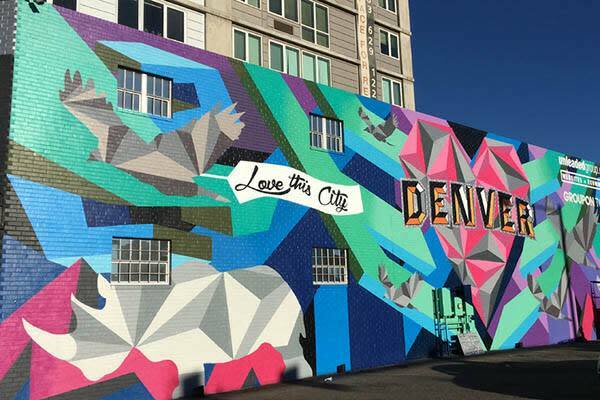 Join us as we taste the beers made here, explore the neighborhood, experience the local outdoor art and murals, and introduce you to the next hot part of Denver.